Why Medicaid Takes Up One-Tenth Of The Federal Budget : Shots - Health News Medicaid has become a prime target of Republicans in Congress who want to rein in the program's costs, which totaled $350 billion in 2015. We take a look at what all that money pays for. President Barack Obama expanded Medicaid under his signature health care law to cover 11 million more people, bringing the total number of people covered up to 69 million. Now Republicans want to reverse that expansion, and they want to go much further in cutting back on the number of people covered and federal dollars spent. The legislation they're contemplating in both the House and Senate shrinks and fundamentally restructures the program. The report issued by the Congressional Budget Office on Monday estimates that 15 million people would lose coverage through Medicaid by 2026 under the proposed Senate bill. Here are five key things to know about Medicaid as the debate moves forward. Medicaid is a joint federal/state program under which both costs and regulations are divided. Currently, it's an open-ended program, where the governments pay for any covered medical costs that beneficiaries need. Federal spending on Medicaid in 2015 was about $350 billion, almost one-tenth of the $3.7 trillion federal budget. That money is supplemented by the states, so total spending on Medicaid services was $545 billion that year. Those numbers have been increasing as health costs rise and the number of people who are eligible for the program expands. That's what makes Medicaid a rich target for Republicans who want to put a lid on its growth. The Senate and House health plans would cap the amount Medicaid will spend per person, and then give states that amount of money to administer the program largely as they please. 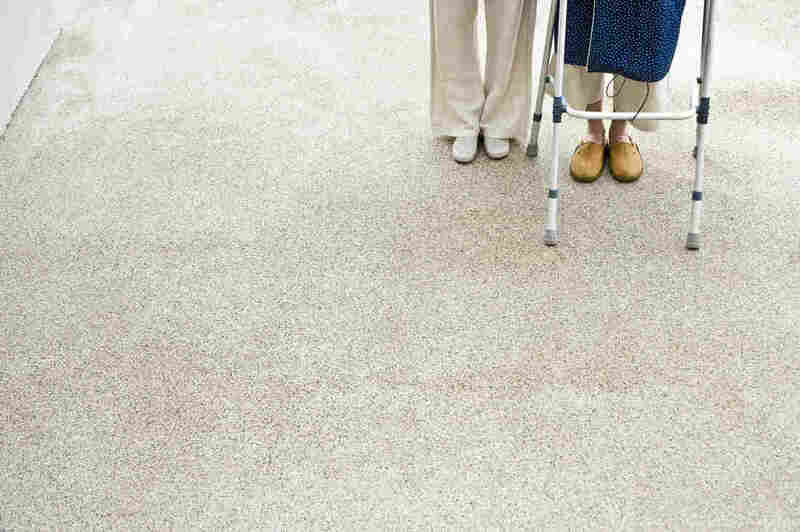 Medicaid pays the costs for about 62 percent of seniors who are living in nursing homes. The reason? Many seniors enter retirement with low incomes and few assets. And over time, many middle-income people who saved for retirement spend down their assets on health care. Inpatient nursing care is some of the priciest health care out there, so even though seniors accounted for only 9 percent of Medicaid beneficiaries in 2014, they used 21 percent of Medicaid dollars, according to the Kaiser Family Foundation. Medicaid spends almost $200 billion a year caring for people with physical and intellectual disabilities. That's about one-third of its budget, even though, according to the Center for Budget and Policy Priorities, only about 13 percent of those enrolled in Medicaid are disabled. The services offered to people with disabilities vary by state and can include inpatient care, home-based services including personal care such as bathing and feeding, school-based services for children and job coaching for adults who opt to live independently. For people who are addicted to opioids, the expansion of Medicaid has proved to be one of the only paths to treatment. The expansion, in 31 states and the District of Columbia, opened up coverage to adults without children who have incomes up to 138 percent of the federal poverty level. In 2015, the program spent nearly half a billion dollars on Suboxone, a drug used to help those addicted to opioids control their cravings and stop using. Several studies have credited the expansion of Medicaid to better access to medication-assisted treatment, which is the most successful treatment for substance abuse. About 11 million people got new health coverage through the expansion of Medicaid under the Affordable Care Act. Almost two-thirds of those fall into the category of the working poor, and another 12 percent are looking for work, according to an article published by Health Affairs in March. Many low-wage jobs don't come with health benefits, and insurance premiums are often too high for people living on the edge of poverty to buy coverage. Under the House bill and proposed Senate bill, the people who gained coverage under Medicaid expansion would be among the first to lose insurance. A previous version of the graphic in this story incorrectly said adults make up the largest share of Medicaid enrollees. Children and adults combined make up the largest share. Seniors and people with disabilities account for the rest of the enrollees.